Whether submerged in a forest-nestled hot spring, floating on the surface of a high mountain lake, or luxuriating in the warm lapping ocean, water is an essential element for physical and emotional wellbeing. Taking time to bathe in the ancient healing power that water offers can be transformative, and sometimes this simple pleasure is the perfect medicine for whatever ails us. The sensuous comfort water provides connects us back to both our bodies and the Earth’s beauty. Creating an oasis evocative of these experiences is not far out of reach in our daily lives, and can be done easily at home. Rather than rushing through another quick shower, try lighting a few natural beeswax candles, play some soothing music, and draw a warm bath infused with fragrant oils, relaxing salts, or therapeutic herbs. Making this a regular ritual, even just once a month, can improve your health in many ways. Bathing helps relax tense muscles, opens pores, encourages digestion, softens the skin, assists in detoxification, boosts the immune system, and promotes restful sleep. 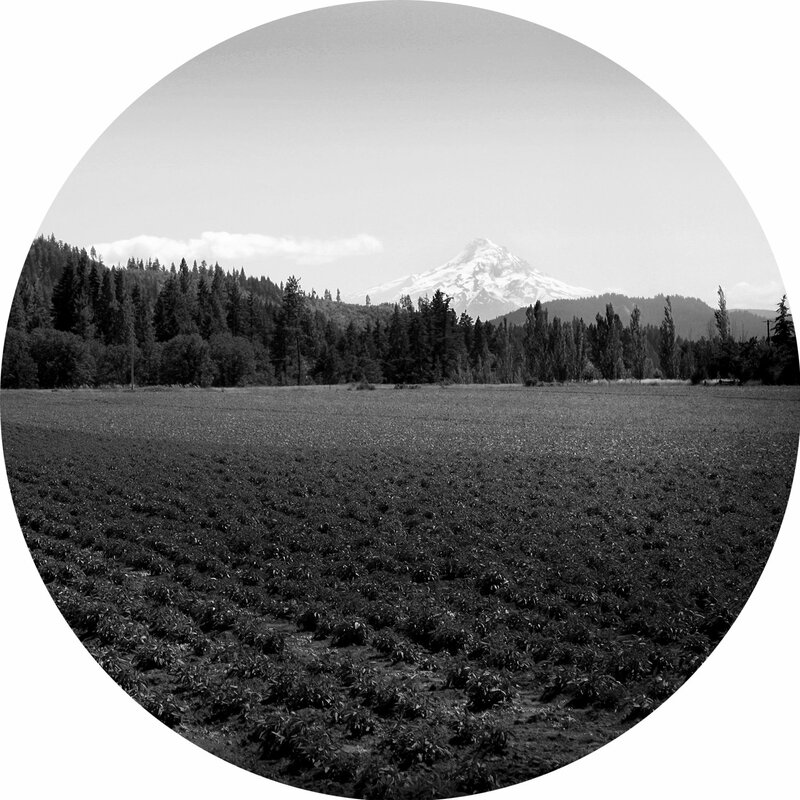 Cherished botanicals can play an important role in this process. You can choose from a variety of leaves and flowers to customize your experience based on your specific needs and preferences. Some classic herbs to use as a bath tea, salt soak, or for aromatherapy include lavender, rose, chamomile, calendula, peppermint, rosemary, geranium, grapefruit, orange, fir, cleavers, oat tops, ginger, jasmine, and ylang ylang. 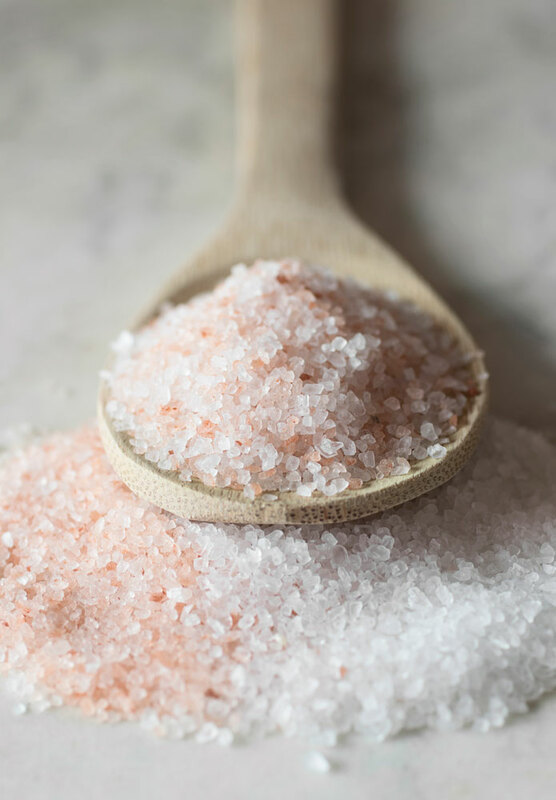 Some other fun ingredients to have on hand in your home spa include coarse sea salt, Epsom salt, Himalayan pink salt, French green clay, and bath oils. After a good soak, it is also lovely to spritz your skin and the air around you with cooling rose, peppermint, lime, ylang ylang or blood orange hydrosol. With just a few of these supplies conveniently stocked by your tub, you’ll be ready to pamper yourself whenever the inspiration flows. Mix your choice of herbs in a jar. 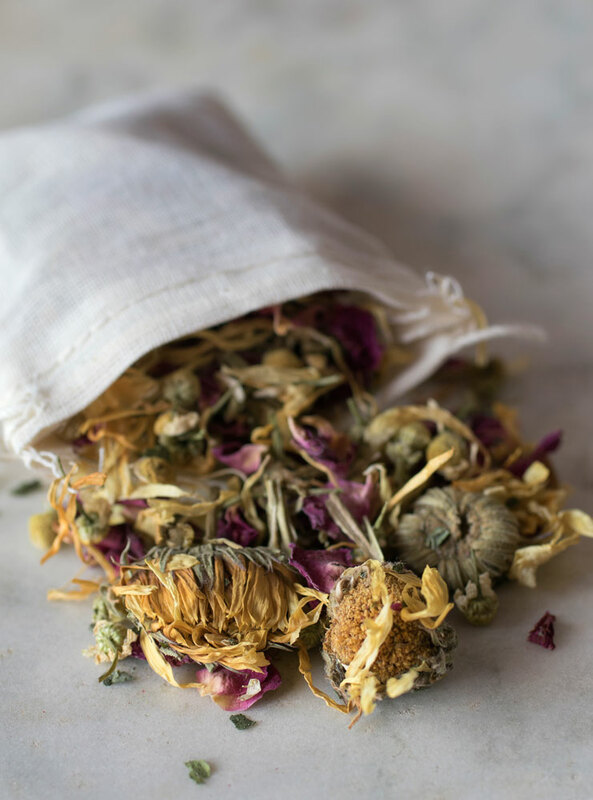 Fill a drawstring cotton muslin bag with the herbal blend and drape over the faucet so hot water runs through the bag and creates a tea in the tub. 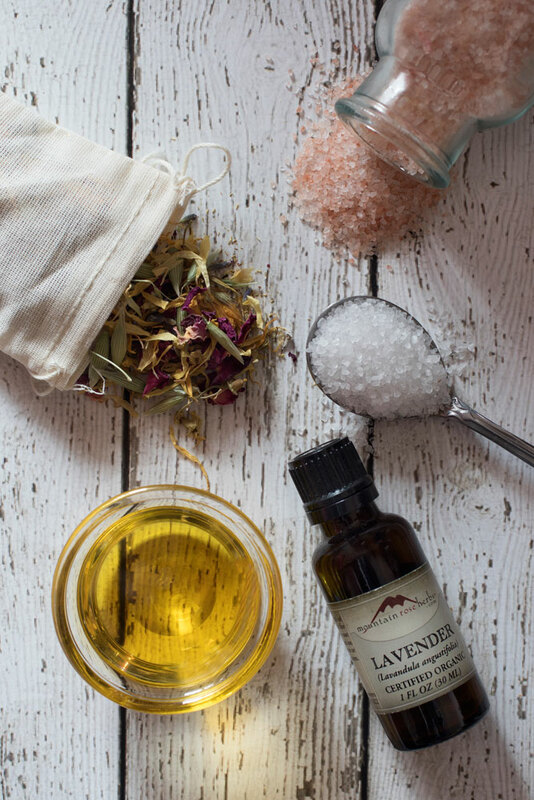 Once the tub is full, toss the tied bag into the water and swish it around to infuse your bath with even more herbal goodness. 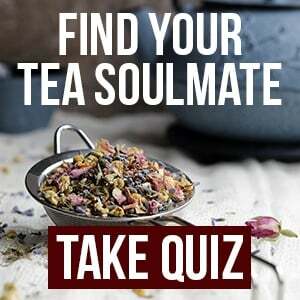 Another method is to make a large pot of tea using your herbal bath blend and add that herbal infused liquid to the tub before getting in to soak. Choose an organic carrier oil for your base such as jojoba, rosehip seed, kukui nut, or sweet almond oil. Add 1/4 ounce of the oil blend to a filled tub and swirl throughout the water before getting in to soak. Be sure to keep the oil well dispersed as you bathe. 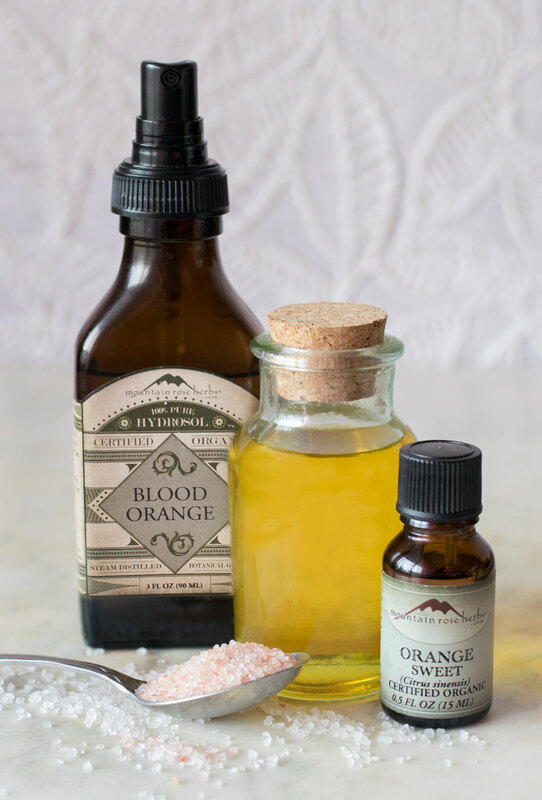 TIPS: For a sweet addition, try infusing your carrier oil base with an organic vanilla bean for two weeks before blending with essential oils. Also, a teaspoon of organic unrefined coconut oil melted into your bath water is lovely and an easy option! Mix salt and baking soda together until combined. Drip in the essential oil and stir well. Sprinkle 1/4 to 1/2 cup into your bath as hot water fills the tub. Once dissolved, step in and soak your troubles away.